Elsewhere, NY came into my life through a self-submission. One of the tons of submissions I was making back then that led to one of the highlight projects I’ve been lucky to be involved in. We went through the process of casting, but what sticks in my mind was when Jeff and Tom stopped by my bar (like my character, Todd, I was bartending at the time) and pitched me on the project. See, this was a no-budget feature. A film coming in at a level I told myself I wouldn’t work at anymore; the idea being that at a certain point you have to make the decision to not work at a certain level in order to move up a notch. I’ll be honest, I was hesitant. But hearing Jeff and Tom’s pitch, their enthusiasm behind the project, and their belief that in filmmaking, it’s not the budget that matters, but rather a strong story and great acting that creates a successful film. Listening to them discuss the plot, their own hesitations about low-budget filmmaking (they’d both made higher budget projects in the past), but their strong belief that one can’t let financing stand in the way of telling a good story, I was swayed and gladly joined the project. 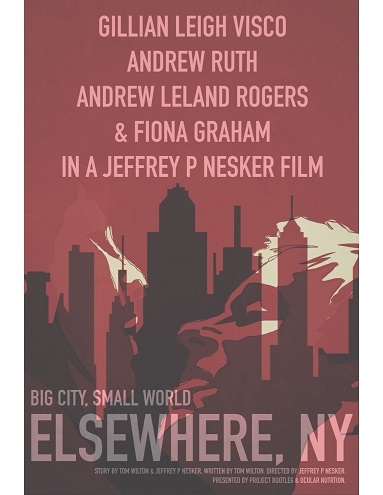 2Q: Cinequest Film Festival is hosting the US Premiere of Elsewhere, NY. Explain to us how it feels to bring this film before audiences for the first time, and what do you think their reaction will be to your film? I’m very excited to bring this project before a new audience. I think it’s a great example of what can be done when you bring together a group of people who believe, money or no. I also hope it will inspire other filmmakers to not let financing stand in the way, and instead, to really focus on the story, the acting. Get that right, and anything is possible. The scheduling was tough. We had to be really, really flexible with our schedules because everyone still had to work their day jobs. This led to many late nights/early mornings where we shoot a scene then run off to our money gig. The best part was the freedom that we had on set. Breathing room to improvise, to play with the choreography, to create the scenes truly guerilla – we’re on a subway surrounded by real commuters, or stepping out of doorways for offices we had no business being in. It’s exciting to make a movie that way. 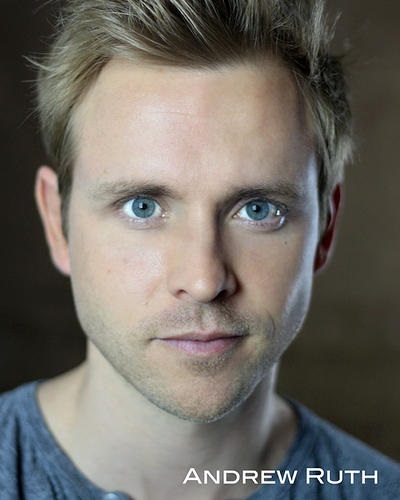 And as an actor to have some control over the scenes, the story, and how it unfolds at a script level – that freedom – it’s best part about indie film. To love, to lust, to make mistakes, to grow. A story with strong characters, good writing, and honesty told simply.